Before you launch an Aviatrix gateway in Azure RM, you must first subscribe to the Aviatrix Companion Gateway in Azure marketplace. To check if you have done so, following these steps. 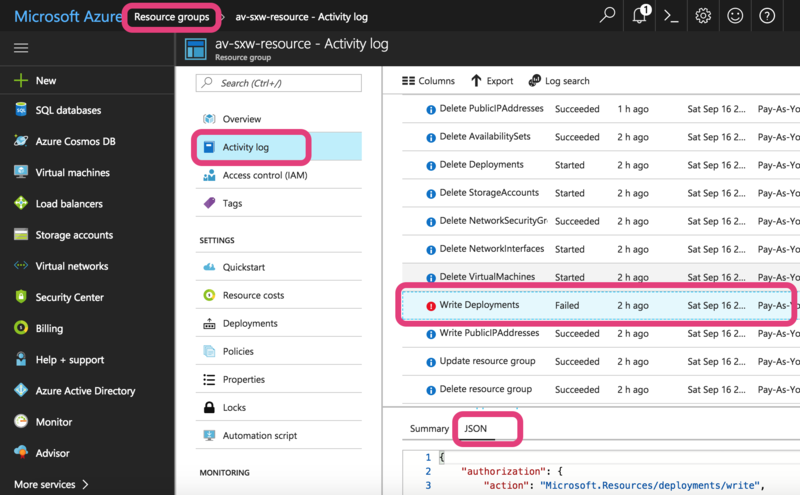 Login in to Azure Portal. Click the subscription you wish to launch Aviatrix gateway. Under Settings, click Programmatic deployment. You should see aviatrix companion gateway is in “Enable” status. If aviatrix companion gateway is in Disable state, click to enable. When Aviatrix Controller fail to launch a gateway, there is a toaster error message on the Controller console. If this message does not help you understand the root cause, take the following steps to further troubleshoot. Typically when a gateway launch fails, the Controller rolls back all resources including the ones allocated from Azure. In this case, you want to disable the rollback function. Go to Troubleshoot -> Diagnostics -> KEEP GATEWAY ON ERROR. Enable it to make it True. Note this rollback only applies to the next gateway launch. Each time when you need to disable the rollback of gateway creation, you need to turn on this option. From Controller console, launch gateway again and observe the failure. Click the resource group created by Aviatrix Controller. The resource group should have a prefix “av-”. Click Activity Log. Click the error message in red color. The specific error message should have a Summary tab and a JSON tab. If you still cannot figure out, email to support@aviatrix.com to get help.